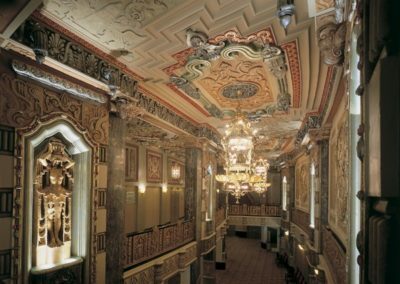 For the Ford Center for the Performing Arts Oriental Theatre, Chicago, Illinois, returning the Theatre’s birthright as a theatre whose vast, imaginative décor is freshly finished and beyond compare. 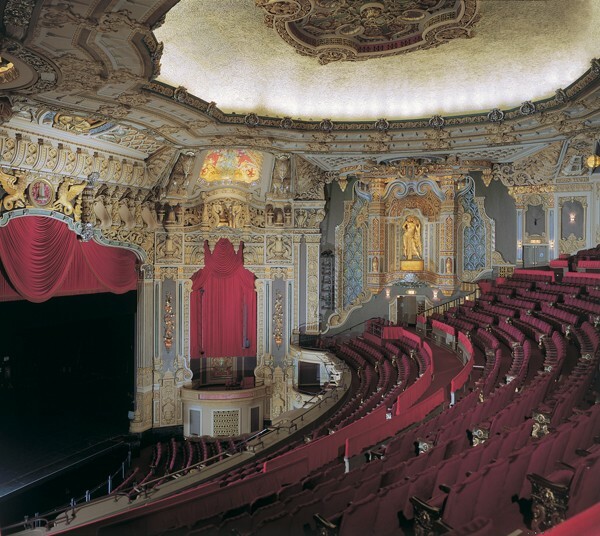 During its 74-year history, Chicago’s Oriental Theatre has come full circle, from the height of acclaim in the 1920s, to the depths of neglect in the 1980s, and back to the spotlight again for the millennium. 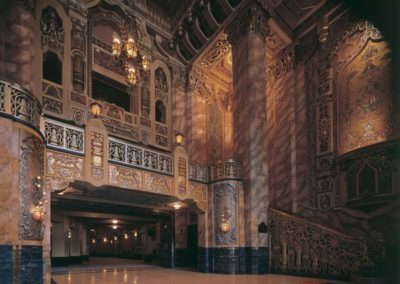 When the Oriental opened in 1926, it was one of the most highly decorated movie palaces ever created, designed by renowned theater architects Cornelius W. and George L. Rapp. 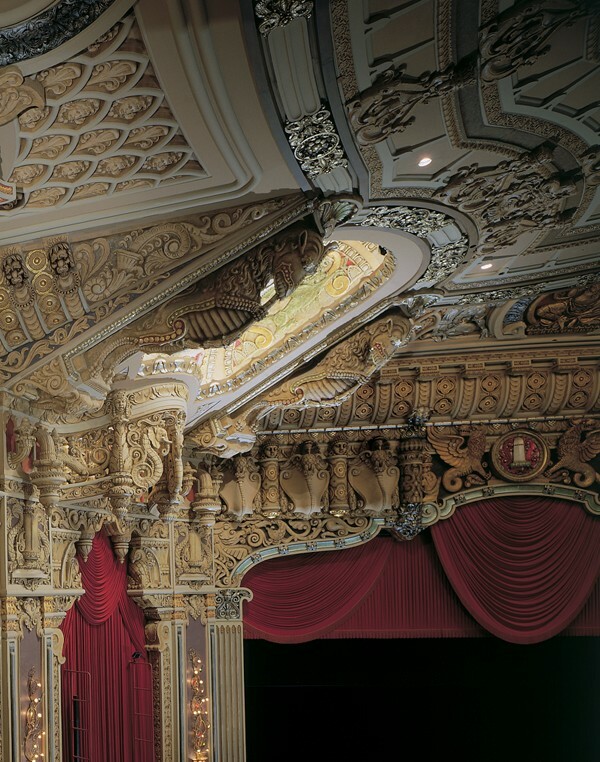 The 2200-seat theatre’s style shows a mixture of influences and elements from what was then known as the “Oriental” part of the world – India, Indonesia and Tibet. 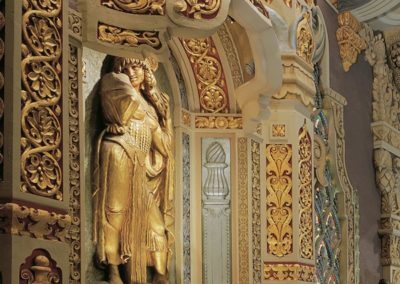 The unusual décor includes a court of East Indian royalty, as well as various molded plaster creatures such as griffins, seahorses, peacocks, and elephants. 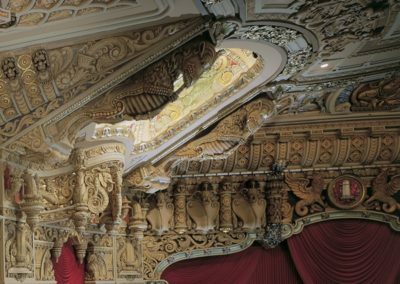 To guide the interior restoration, Conrad Schmitt Studios conducted an investigation of the original decorative scheme, working with architect Daniel P. Coffey and Associates, Ltd. and consultants Roger Morgan and Associates. 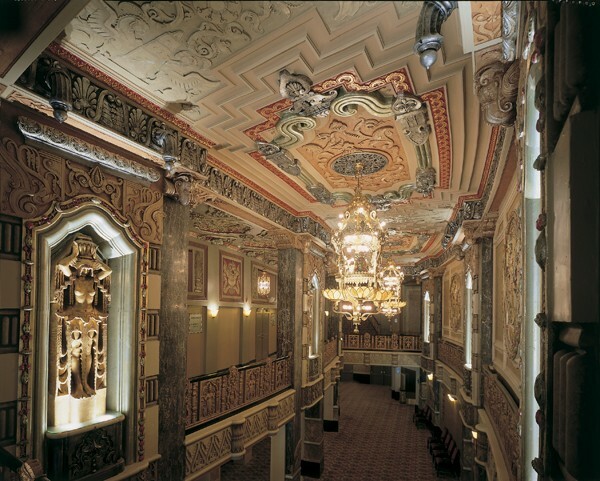 Then CSS artists went to work patching, painting, gilding and glazing, using 4000 gallons of paint, 62,500 sq. ft. of aluminum leaf, and 12,500 sq. 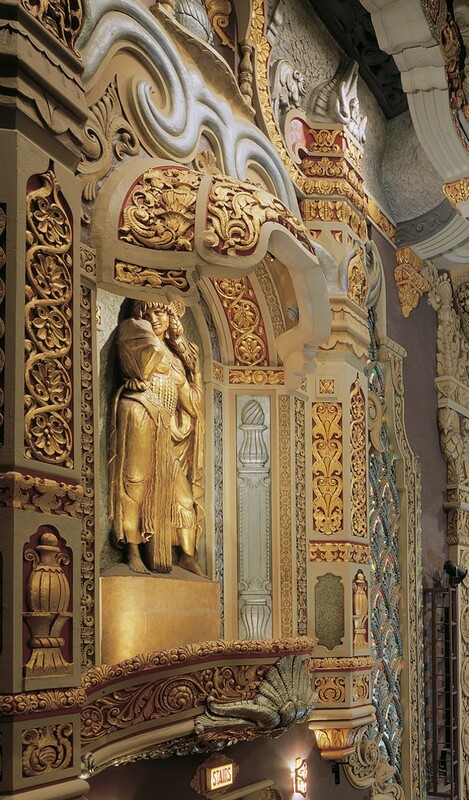 ft. of gold leaf for the restoration. 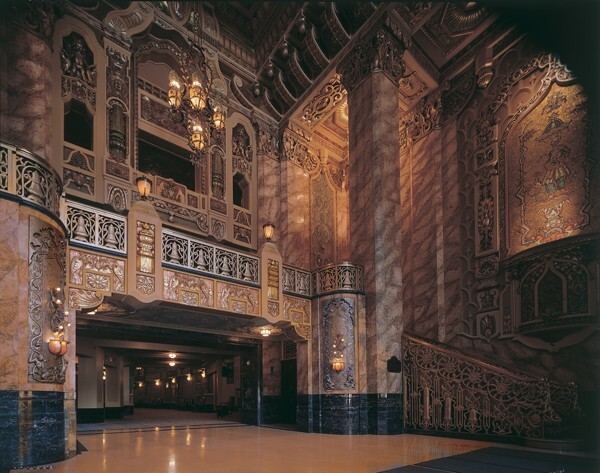 Today, in the Chicago, Illinois Loop, nestled in the midst of practical, everyday buildings, the Ford Center for the Performing Arts, Oriental Theatre, is a constant reminder of the gifts of fantasy, imagination and the unique experience of live performance.